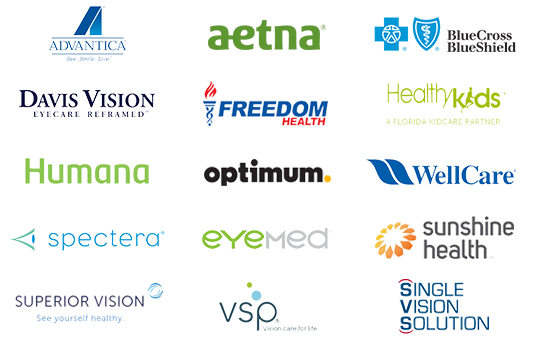 We currently accept the following insurances: Advantica, Aetna, BlueCross BlueShield, CarePlus, Davis Vision, Freedom Health, Healthykids, Humana, Optimum, WellCare, Spectera, EyeMed, Sunshine Health, Superior Vision, VSP, and SVS. © Copyright 2019 Opti-mart. All rights reserved.